It’s almost Friday but I can’t wait to share some cocktail inspiration. I was lucky to spend 3 amazing weeks in Buenos Aires, Argentina this past Sept./Oct. and fell in love. It’s an amazing city! 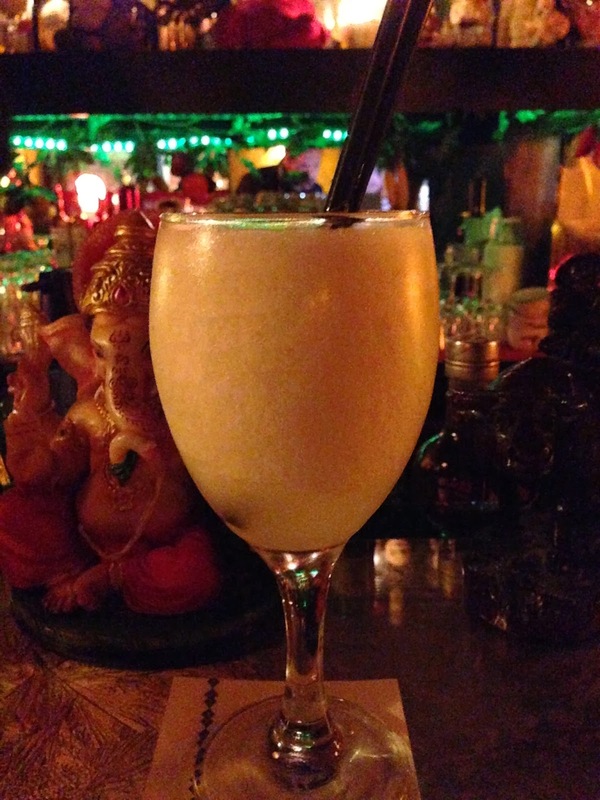 One of the many things I will never forget is actually a blended pisco sour I had at Green Bamboo; a Vietnamese restaurant in the Palermo neighborhood in Buenos Aires. 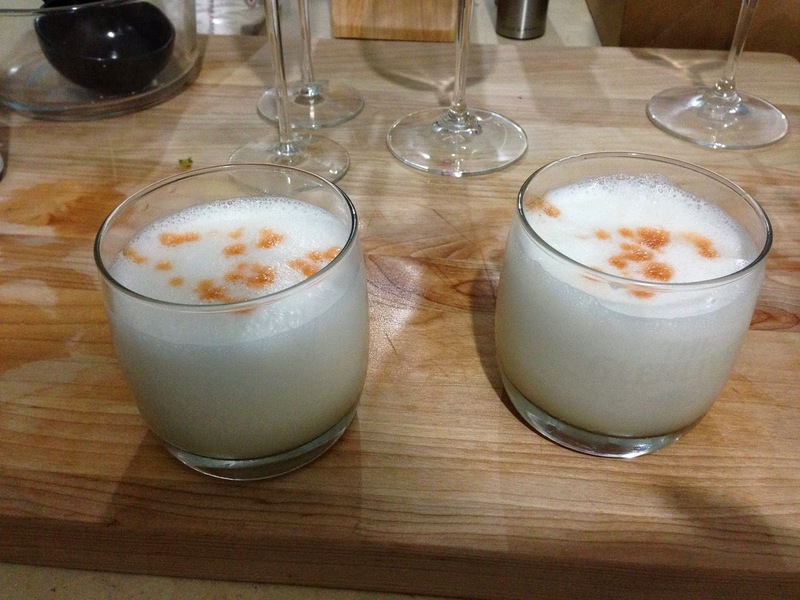 I know it sounds strange, a pisco sour at a Vietnamese restaurant in Beunos Aires?! But it was so good! 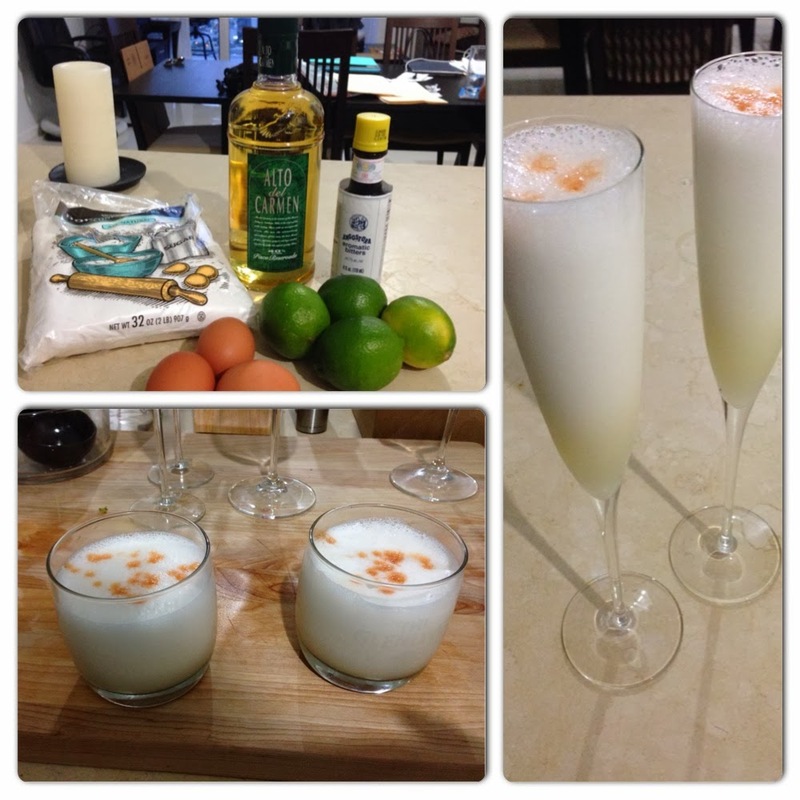 Recreating the pisco sour at home. 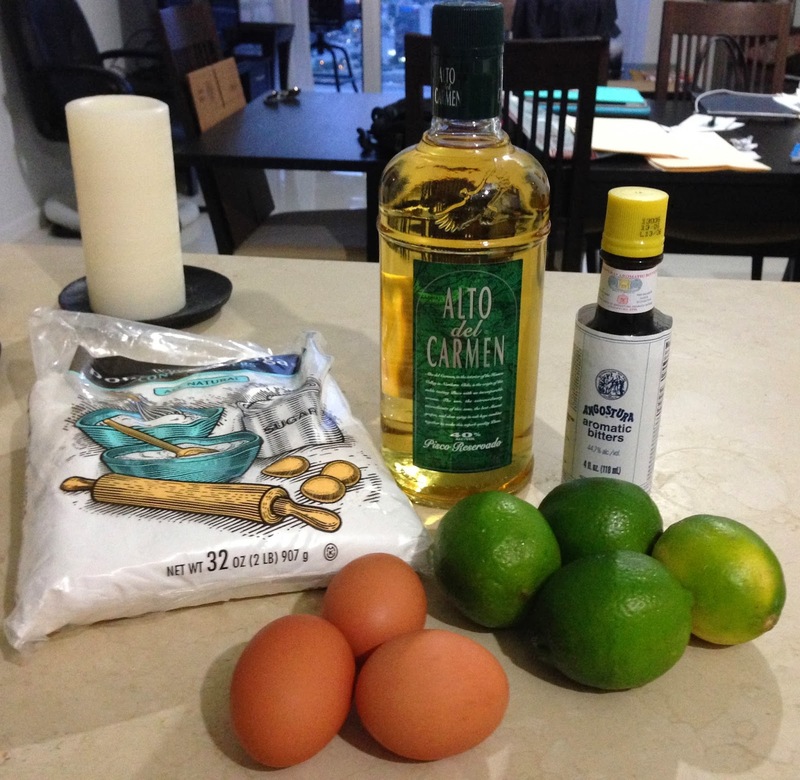 Ingredients include: Alto del Carmen Pisco, limes, eggs for the egg whites, confectioner’s sugar and a just a couple drops of angostura aromatic bitters. Tools used: Blender and fruit squeezer. 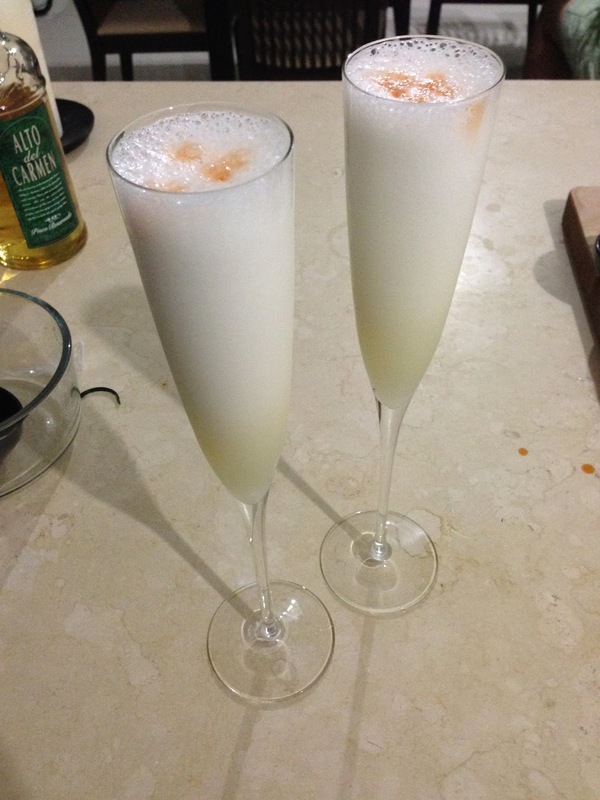 I recommend serving the pisco sours in a wider glass because it was really hard to drink in the narrow flutes shown above due to the foaminess (if that’s a word) of the drink. Other tip: You can substitute the confectioner’s sugar with a sugar alternative like Splenda or Stevia.